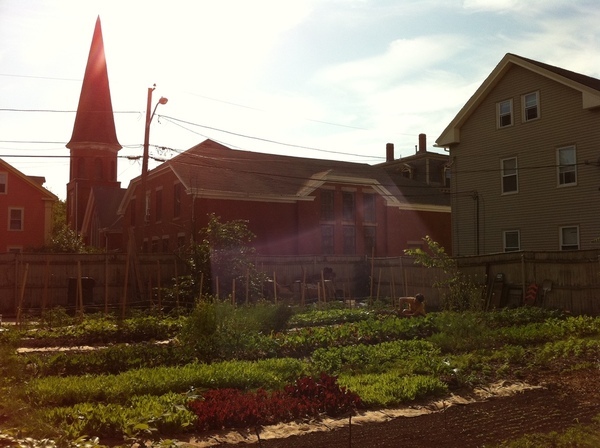 We are writing to ask for your support at a critical moment for Sidewalk Ends Farm. As you know, for three years now, we’ve worked hard to turn the vacant lot at 47 Harrison Street in Providence into the productive and fertile agricultural space it is today. Agriculture is slow work and, three years in, Sidewalk Ends still has so much unrealized potential. Owning the lot will enable us to build on our work and invest in it further. This is a dream we hold dear and we need your help to realize it. If we don’t buy it, there is a good chance someone else will and this could mean the end of our farm.